Our City Forest is growing an arboretum and educational center at Martial Cottle Park. We need your help to turn this vision into a reality! Our City Forest and hundreds of local volunteers have planted over 210 trees and shrubs on our 2-acres since Spring 2015. The arboretum showcases over 50 different species of trees and shrubs that grow well in our urban environment. Our arboretum is new and still growing, and guided tours are available through reservation by emailing martialcottle@ourcityforest.org. Established in 2018, the Our City Forest California Native Garden showcases native shrubs found in the seven main California ecosystems. The garden is an educational resource for people to learn about the diverse ecosystems in California, as well as gain inspiration to create their own California native landscapes. Many of the shrubs in the native garden can be purchased at the Our City Forest Community Nursery. 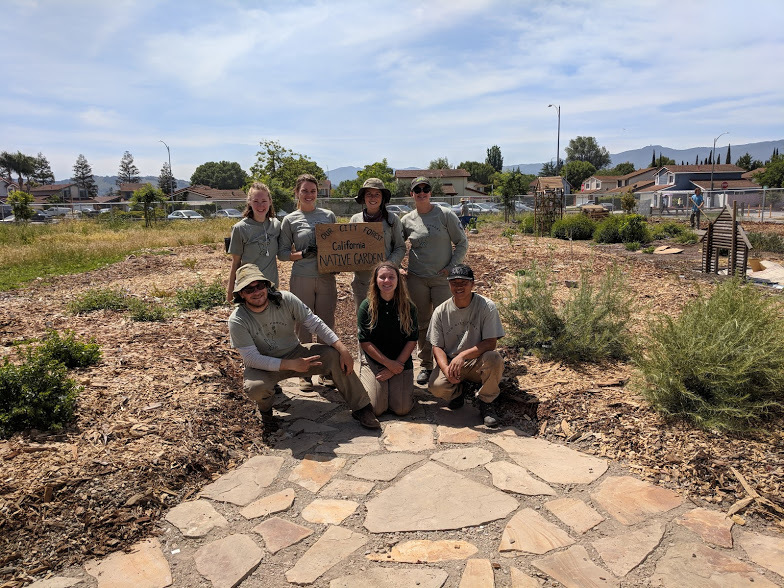 The Our City Forest California Native Garden is a leading example of a small scale California native restoration project, attainable for every garden or landscape. In addition to our Lawn Busters Program, we provide free lawn conversion workshops for the community that include design, installation, irrigation, and maintenance. These workshops are particularly helpful for those not eligible for the Lawn Busters Program. The workshops as well as a pop up nursery occur every third Saturday of the month, so stop on by! •Volunteer - Every Friday, 9:00 AM - 12:00 PM - care for trees and help beautify the site. •Become a Tree Care Specialist - We need someone that can commit to watering the newly planted trees and shrubs on a weekly basis. Schedule is flexible, training provided. Want to donate or sponsor?